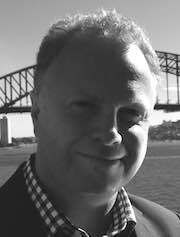 Fresh from working on live-streaming this year’s TEDx Sydney event, Nick Whitehead explains how to stop attendees at your next internal presentation or sales conference from tuning out by taking lessons from TED talks. TED talks are a cultural phenomenon. A conference originally focused squarely on technology, entertainment and design (TED) has become an entire industry built on the value of ideas. With two million TED talks streamed a day, its influence is inescapable – many of your colleagues have likely attended a TEDx event, watched a talk online or subscribed to one of the many TED podcasts. These talks have become the benchmark for a great presentation. The ideas generated by these talks range from expansive blue-sky thinking to incredibly niche topics of interest. With just 18 minutes to speak, presenters manage to capture audience attention with innovative ideas and memorable moments. There’s a lot that can be learned from this approach, yet corporate presentations are so often made up of dry, long-winded talks accompanied by endless slides of bullet points. When you’re putting on your next corporate event, why not take a fresh approach with short, engaging presentations that leave employees thinking about them for days? The recent TEDx Sydney event showcased the value of a meticulously curated list of presenters. In an all-day sales conference or training event, you’re likely to lose people’s interest many times. Some will duck out to take phone calls, while others surreptitiously check emails throughout the day or simply zone out. But at TEDxSydney, the audience remained captivated throughout the presentations. After filtering through thousands of submissions, the organising team chose a mix of content that resonated with the audience in different ways – inspiring raucous laughter, genuine tears and everything in between. Each session was carefully designed to include light-hearted moments, more provocative content, performances and audience participation. There was something for everyone in the audience to connect with, and space to reflect on what we heard. When you’re putting together your next event, consider how you can stagger content throughout the day to have the most impact. Going through sales figures and reflecting on quarterly performance is necessary, but is it the most valuable use of everyone’s time together at a sales kick-off? How can you break up the day with other types of content that will really capture attention? Bringing in a guest presenter to offer an external perspective is a great way to vary your content. The archive of TED Talks is notable for its huge variety of ideas and speakers. Enhancing your event with a rich presenter line-up will be more inspiring than simply hearing from the same management team your staff sees on a daily basis. TEDx events are well-known for their 18-minute presentations. It’s one of the key reasons for their success – they’re long enough to be informative, but short enough to hold people’s attention for the entire talk. Shorter presentations also allow you to vary content and keep people interested. If you’re running an on-boarding session, for example, a number of brief training presentations interspersed with interactive sessions will be much more valuable than expecting participants to remember a one-hour slideshow. It also forces your presenters to distill their talks down to the most important points. By timing talks with a visible counter, there’s no space for rambling or fumbling with technology. One of the remarkable aspects of TED Talks is that none of the speakers use notes, autocue or prompts. If your presenters are this comfortable with their content, they appear more informed and passionate about the subject matter, which goes a long way towards engaging the audience. Visuals are also important – while every presenter made use of slides at TEDx Sydney, there were no hard to read graphs or blocks of text. Audiences were engaged with photographs, quotes and graphics, helping them to focus on the ideas being shared. Most people who attend a TEDx event are inspired enough to share something about it on social media. At the most recent Sydney conference, thousands of quotes and photos were live tweeted, while ideas were discussed for days afterwards on social networks. These conversations become an ongoing part of the TEDx experience. The most popular TED Talk of all time, ‘Do schools kill creativity?’, from Sir Ken Robinson, has generated more than 12,000 comments on YouTube and the TED website alone. It continues to spark conversation 10 years after it was filmed. Employee participation is one of the biggest hurdles when it comes to planning an internal event, especially if your workforce is fragmented across different locations. Rather than hosting separate training days or kick-off events for each different office, live streaming a single event will provide the opportunity to get all employees involved via video. This fosters a sense of collaboration and allows staff to comment, ask questions, share ideas or contribute to polls in the moment. By enabling conversation your event will be more engaging and, ultimately, more memorable. We’ve all attended a conference filled with inspiring ideas, only to find that the excitement is quickly forgotten when the team returns to the daily grind. But when was the last time you recorded your sales conference or planning day so those ideas could be shared? 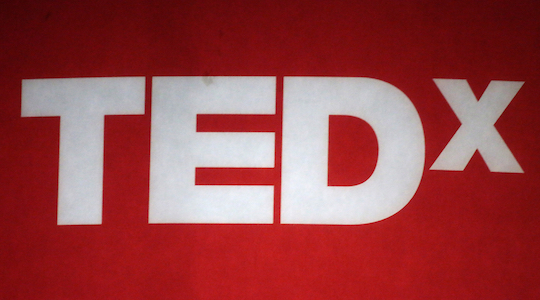 The widespread influence of TED Talks stems from the online archive of more than 2,000 videos. There are more than two million talks streamed every day across the world – Ken Robinson’s presentation has more than 39 million views alone. Yet most of your corporate event content likely begins and ends at the conference venue,never to be revisited. By recording it you can break the content down into shorter chapters to create a gallery of videos your staff can return to whenever they want. Whether they’re looking for the most recent CEO update or helpful tips from a training day, building a searchable archive of event footage will generate ongoing value. The TEDxSydney mobile app also included the ability to bookmark moments on the day, allowing viewers to revisit moments that really resonated with them. During an eight-hour event, this is a powerful way of enabling employees to zero in on what matters to them. Once the event is done and dusted, you’ll have useful analytics about what people watched and engaged with. This means you’ll have valuable insights to improve future events, while extending the shelf-life of the content you’ve already generated. When you’re putting so much effort into curating and presenting the best ideas your company has to offer, it doesn’t make sense that it’s only available to the people in the room. Engage your whole business with memorable presentations they can continue learning from long after the event is over. Like it or not, TED Talks have set the benchmark for engaging presentations, and your next corporate training event or off-site is going to be judged against that expectation. By adopting some of the simple principles of TED’s success you can ensure your audience is engaged and you maximise value from the time, effort and expense that goes into corporate presentations. 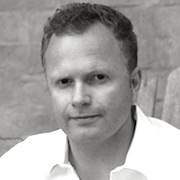 Nick Whitehead is head of sales at Viocorp.